The I-65 arch bridge in Columbus, Indiana was in need of repainting due to fading and delaminating of its original coating. Consequently, the structural steel was showing spot rust. 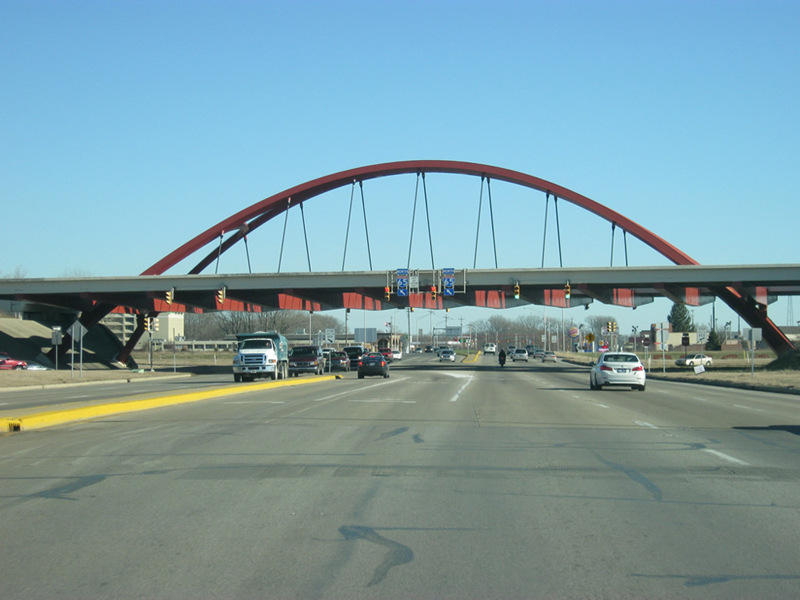 Indiana Department of Transportation requested for a coating that would provide maximum color and gloss retention, which they found in Carboline’s Carboxane 950 Satin finish with Lumiflon FEVE resin technology. The surfaces of the arch bridge were water blasted and power tool cleaned to SSPC-SP3 standards. Only spots affected with rust were primed using Carbomastic aluminum epoxy mastic primer, and then the whole structure was coated with Rustbond Penetrating Sealer. 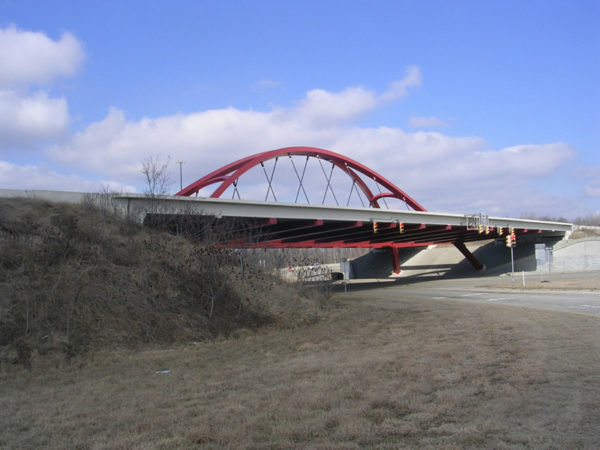 The final coat was Carboxane 950 Satin in Coca-Cola® Red to coincide with the bridge’s former color. The FEVE resins used in Carboline’s Carboxane 950 coating provide excellent corrosion resistance, weatherability, and color and gloss retention. These properties contribute to the lower life-cycle costs of the project by eliminating the frequency of recoating. Lumiflon, a product of the Asahi Glass Company, is a solvent-soluble fluoropolymer that offers distinctive advantages to architectural and industrial maintenance markets. Lumiflon provides architects and engineers with the option of using brighter colors and higher gloss, allowing gloss values as high as 90; offers the flexibility to be heat cured or cured at ambient temperature, giving fabricators a choice between shop application or application in the field; and can be used successfully on a number of substrates, including steel, aluminum, fiberglass, concrete and polycarbonate for 30 years or more without fading. Information and images courtesy of © Carboline, Bridge Hunter and AARoads.